PT Flow - Five reasons to use PT Flow! Five reasons to use PT Flow! PT Flow is created to make your life easier. Below is a short list of five reasons why Personal Trainers should use PT Flow. 1. Everything stored at one place! We know that you as a Personal Trainer most likely love your job. But, we understand it can get difficult, as the lack of necessary tools to make you succeed at the highest level. By using PT Flow, you can store all information about your clients, create workout programs, log sessions, see client progression etc. The best thing is, you can access it all in one place. Sign in to the app and you´re good to go! Forget sticky notes, pen and paper, mess, and chaos. PT Flow gives you all the features you need for a structured working day. Through PT Flow, you can invite your clients to sessions, share workout programs etc., so they never have to deal with small paper notes that are easy to lose. One of the challenges for Personal Trainers is that they do a lot of work, which they do not get paid for. You might have spent hours putting together a workout program in Word or Excel, handled bookings, changed or canceled sessions over phone, texts, email, or chat? Don´t worry – we know exactly how you feel. With PT Flow you can create digital workout programs and set up templates of the ones you use the most, to other clients. Booking of session, changing time, cancellation, etc., can now be done by clients themselves through the app. When using a good system, you are no longer dependent on your sessions to be at the gym. Now, you can offer your clients self-managed workout programs they can use during vacations, or between sessions when you are not present. 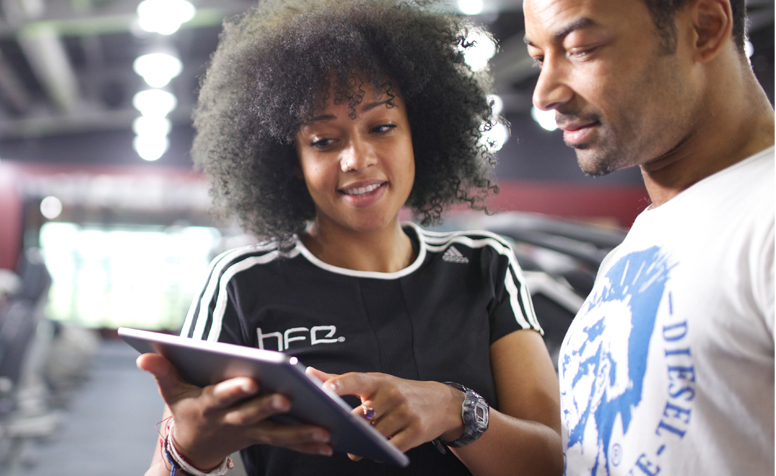 Your clients are able to receive the workout program in PDF by email, or they can directly open it in their client app. By eliminating the time you have spent on unnecessary inquiries, you can now spend the time on profit generating tasks. With more available time, there is a unique opportunity to spend more time with clients that actually increases your earnings.